Moments before taking this photo on our daily walk around our beautiful property, Sweetwater Lodge, a kookaburra tried to attack this big monster, without success! He remained in position unperturbed presumably targetting the poor bird’s eggs. It is survival of the fittest here in Nature’s paradise, Tropical North Queensland! 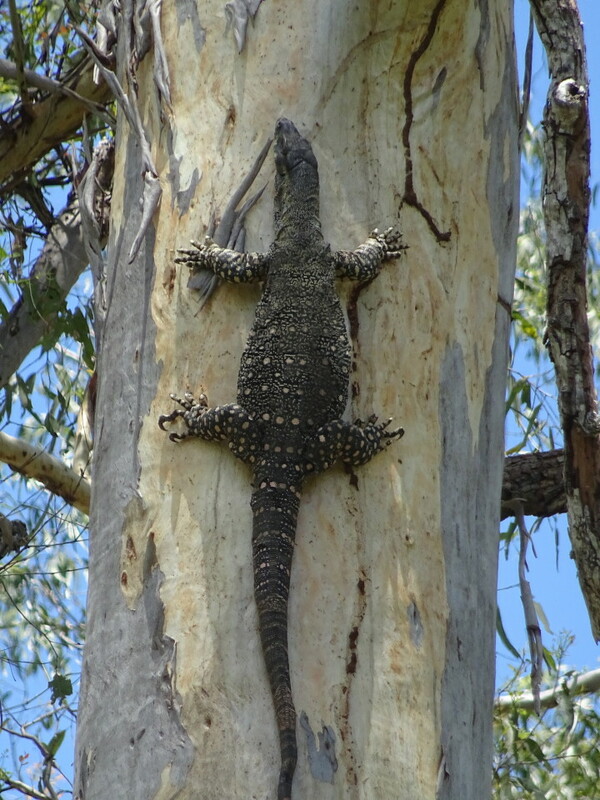 The goanna is a species of Monita Lizard of which there are around 25 species found in Australia. We’ve noticed increased numbers here at Sweetwater this year. Perhaps due to the dryer weather.